Below you will find answers to many of the questions you may have about participating in the Civil Mediation Clinic. Who is eligible to participate in the Civil Mediation Clinic? What is the application process for the Civil Mediation Clinic? What is the student selection criteria for the Civil Mediation Clinic? How many students can enroll in the Civil Mediation Clinic? How many hours must student attorneys devote to the Civil Mediation Clinic for the semester? Are there any special scheduling requirements for the Civil Mediation Clinic? Are there any special costs associated with taking the Civil Mediation Clinic? What are the role and responsibilities of Civil Mediation Clinic students? The clinic is open to both second- and third-year students. Students may only participate in one clinic or field placement per semester, and second-year students who take the clinic may not retake it as 3Ls. Students wishing to enroll in the Civil Mediation Clinic must apply through the common application process for all clinics and field placements. In the joint application, students will be asked to rank their clinic and field placement preferences, provide a résumé and answer questions regarding relevant experiences and interests in their selections. The online application form will be made available on the website once the application period opens. Please note that the application period begins and ends several weeks prior to the registration period for all other classes. As a result, interested students should plan ahead and keep an eye out for emails and announcements regarding the clinics and field placements application period each semester. A phone or in-person interview may be required depending on the number of applicants. Only six students will be admitted to the Civil Mediation Clinic each semester. Although the high level of interest generally necessitates a competitive selection process, there is no set criteria for a successful candidate other than a demonstrated commitment to hard work and professionalism. In fact, clinic faculty make a concerted effort to select students with diverse experiences, backgrounds, perspectives and interests in order to create a rich learning experience for all participants. The clinic accepts a maximum of six students each semester. How many hours must students devote to the Civil Mediation Clinic for the semester? Students are required to devote a minimum of 135 hours to the clinic for three credit hours. These hours are obtained by attending and preparing for class each week, training, simulation and actual mediation sessions. Students must attend a 3-4 hour pre-semester orientation and training. Class is held on Fridays from 10:20 a.m. – 1:20 p.m. Students should not voluntarily schedule activities that conflict with class time. Additionally, students should leave open in their class schedule either a Monday or Thursday afternoon (both if possible for maximum flexibility) to attend mediations at Baton Rouge City Court. We generally arrive between 12:00 p.m. to 12:30 p.m. and are finished by 3:30 p.m. at the latest. The clinic provides student attorneys with the resources needed such as routine office supplies. However, students are responsible for their own travel expenses. Additionally, student mediators are required to wear courtroom attire at the Baton Rouge City Court. After training, students will mediate cases referred by the Baton Rouge City Court under faculty supervision. 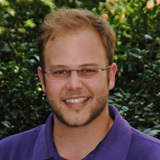 You can contact Professor Paul W. Breaux directly with questions at pbreaux@lsu.edu.